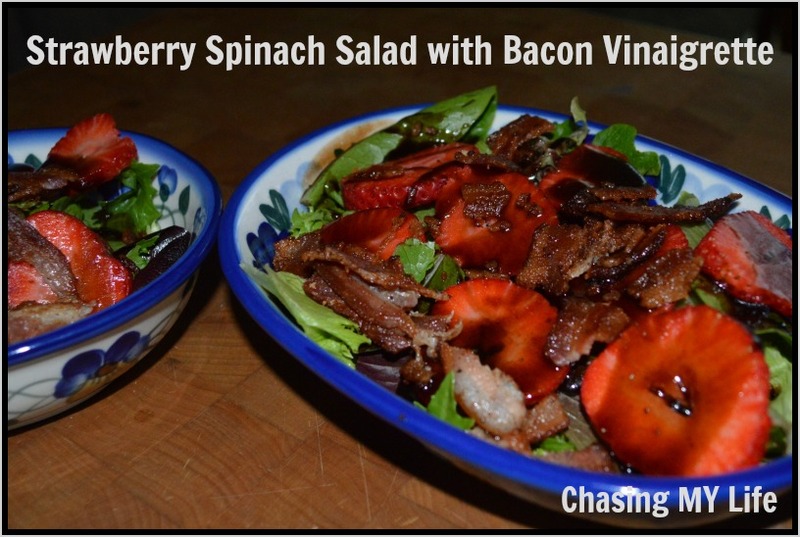 Toss together the spinach, strawberries and shallots in a large bowl. Toast the almonds in a small skillet over medium heat, stirring until golden brown, about 2 minutes. Transfer to a bowl or plate and set aside to cool. Start the bacon in a cold medium skillet; cook over medium heat, stirring occasionally, until browned and crisp, about 10 minutes. Transfer bacon with a slotted spoon to a paper-towel-lined plate; leave the bacon fat in the pan. Take the skillet off the heat and whisk in the mustard and sugar until the sugar is dissolved. Add the vinegar and then whisk in the olive oil. Add the bacon and almonds to the salad, pour over the bacon vinaigrette, and toss to coat. Serve immediately.